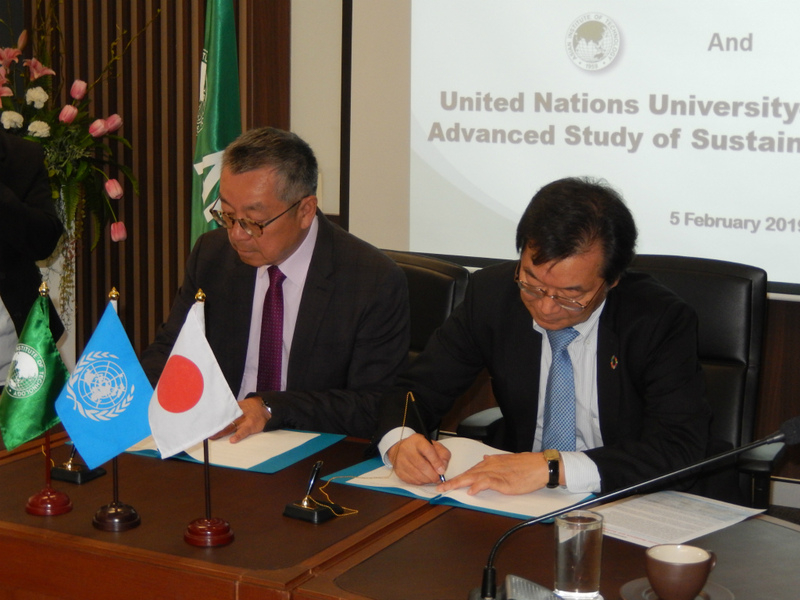 On February 5, UNU-IAS and the Asian Institute of Technology (AIT) agreed to promote cooperation in the fields of education and academic research through the signing of an agreement on academic exchange. 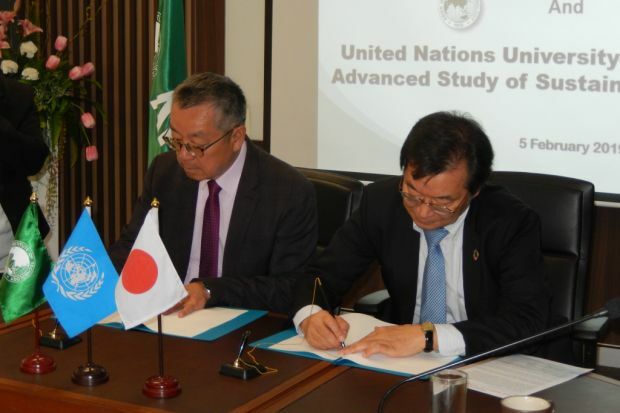 At a formal event on the AIT campus, UNU-IAS Director Kazuhiko Takemoto and AIT President Eden Y Woon agreed to act in close cooperation and consult each other on a regular basis. Cooperative activities will include collaborative research, lectures, and symposiums, as well as the exchange of students and researchers and information and materials in fields of common interest. AIT, based in Bangkok, Thailand, is an international institute of higher learning and Asia’s pioneer institution established in 1959 to help meet the region’s growing needs for advanced learning in engineering, science, technology and management, research, and capacity building. AIT is also one of the members of ProSPER.Net (Promotion of Sustainability Education and Research Network), for which UNU-IAS serves as the Secretariat. The cooperation with AIT is expected to create synergies for both institutions’ educational and academic programmes, in promotion of sustainable development.